Launching your own digital product is a fantastic feeling and achievement to have made as a blogger or entrepreneur. So, after all the research and planning is done. After the ‘trying’ phase of your product creation. After the Beta testing and tweaking and everything else in between are done, you’re finally ready to launch your first digital product and begin the grueling work of marketing and promoting it to the world. Before you think about moving forward, just give yourself a little pat on the back for reaching this far, you darn well earned it. However, now the real work begins. Blogs offer some of the most credible sources of information on the internet. In fact, 47% of customers consume between 3 to 5 pieces of content before making the decision to buy something. So, one super awesome way to get your brand new product in front of thousands of hungry customers is by getting others to talk about it, to write about it, to blog about it, and to do all kinds of stuff to help promote your product for you. Think of all those influential people, all those credible bloggers with huge audiences in your industry, ready, able, and willing to try out your hot new product, and ready to start promoting it to their audiences. Like I mentioned earlier, blogs have been rated as one of the most trusted sources of online information for consumers today? So, what’s the point? Why am I tell you all of this for? Well, what I’m trying to say is that if you truly believe you have created the best product ever, and you want other bloggers, marketers, and influencers to promote your product for you, then you’ve got to think about creating your own affiliate program. Why set up your own affiliate program? With an attractive affiliate program, you can personally invite bloggers that are in your niche or industry, to come and check out your latest digital products or service, and get them to signup so that they can help promote it for you. Why would they want to help you promote it? Because, hopefully, and most importantly, your product will be too awesome for them to pass on. And secondly, so that they can make money themselves from being an affiliate of your products or services. It’s a win, win formula. You get your new product or service promoted for free, well almost for free. Your affiliates, in turn, get to earn a commission for every single successful sale. By creating your own affiliate program, you are effectively passing off most of the hard work of doing product marketing and promotion to your affiliates. Those key bloggers you’ve spent years connecting and building relationships with, they will become your brand ambassadors. Providing that you have an awesome product or service available to start shipping out, think of all that super-targeted traffic you could be driving to your sales pages. All those targeted leads that could convert into profitable sales for you, and some nice commissions for your affiliates too. So, where do you even begin with creating your own affiliate program? 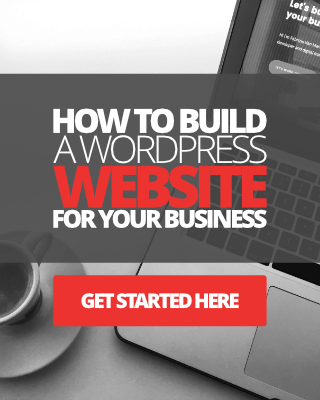 Well, you’re going to need some affiliate software or some kind of plugin to help you get started and organized properly, especially if you use WordPress. And so in this post, we’re going to look at 5 of the best affiliate tracking management software/tools/plugins to consider using for the job. Let’s start with Omnistar OSI affiliate software, one of my personal favorites and one of the most trusted affiliate tracking and management software’s online, today. OSI Affiliate offers some fantastic tools for growing your business with referral marketing. Their full list of features includes the ability to create an affiliate program for both your online store and offline store, complete with fast and unlimited reward options for your product promoters. So, using this tool essentially helps to solve a number of problems straight away. Firstly, it’s not all about being online, you can use ‘word of mouth marketing’ to help you drive customers to your business, saving you money on useless, often ineffective advertising. Generate reports and performance stats. Pricing wise, there are 3 plans to choose from. The very basic plan will set you back $47.95 per month. There is also a Pro plan at $97.95 per month, and a premium plan at $147 per month. SPECIAL OFFER: Magnet4Blogging readers can save 20% off all monthly plans, and for every single month, not just one month, by signing up here. Simple to set up and use for both online and offline store. A wide range of promotional tools, including email templates, discount codes, and coupons. Quite pricey, even for a basic plan which will set you back $38 per month. This could be quite a commitment for some bloggers and marketers launching low-cost, minimum viable products or services. If you can look past the somewhat heavy monthly fees, OSI Affiliate is fun and easy to use with lots of useful tools and features for your referral marketing campaigns. 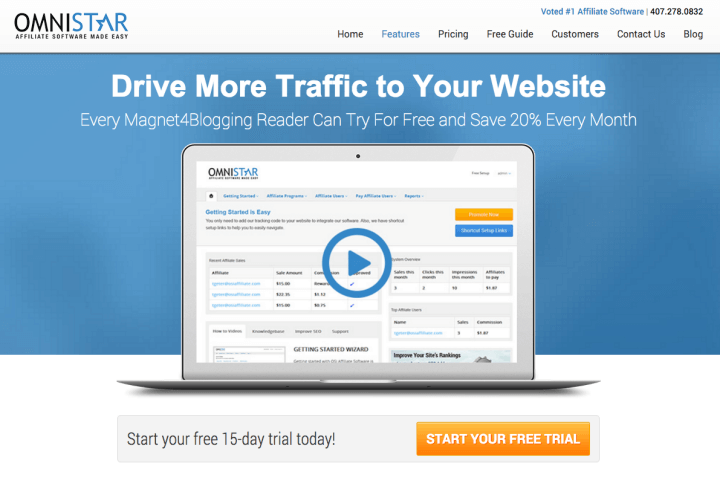 Once again, Magnet4Blogging readers can save 20% off the monthly plans. Click the button below to get started straight away. Number 2 on my list is Shareasale. Shareasale has been around for the last 16 years or so. 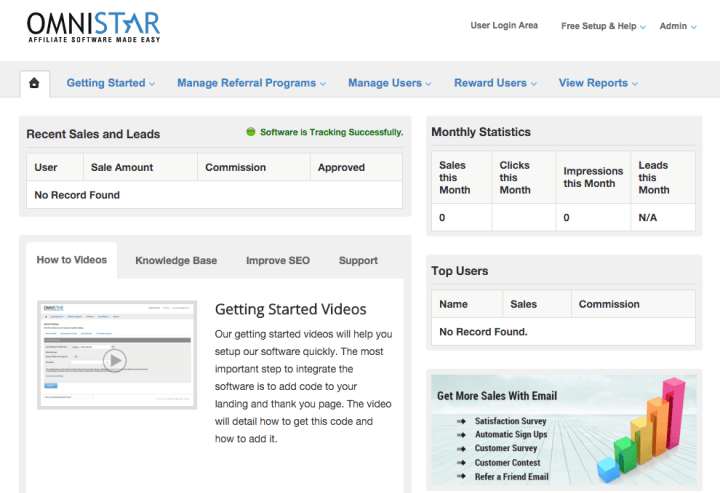 They are one of the most trusted affiliate performance marketing networks online. 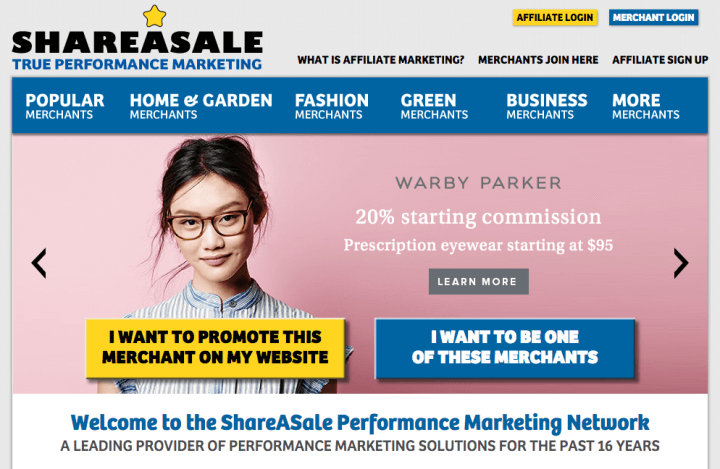 If you do any kind of affiliate marketing on your blog or promote any affiliate products, then you may well be familiar with Shareasale. 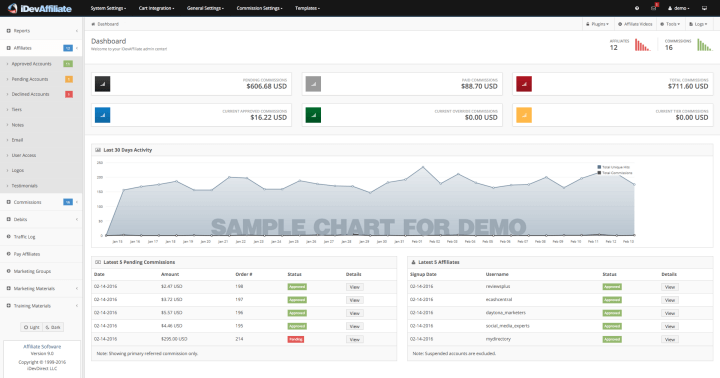 Real-time tracking for banner clicks and sales. Segmentation to help you group your affiliates. Cost wise, there isn’t a set monthly fee to weigh you down each and every month with Shareasale. That being said, you can incur something called ‘transactional fees’ and ‘monthly minimum fees’. The transactional fees are pretty much self-explanatory, it occurs when a sale or lead is made. The monthly minimum fee only happens, if you fail to generate the minimum amount of $25 in total fees to Shareasale from sales and leads. There is also a one-time network access fee of $550, and a minimum deposit amount of $100 required to get started with Shareasale. Shareasale has quite a robust reputation online. It’s a trusted website, and its affiliate referral marketing platform is being used by many top marketing companies today, including StudioPress, LongTailPro, and CobaltApps. For more information on Shareasale features, tools, and costs. Or to signup, visit the website by clicking the button below. IDevAffiliate has been providing a robust and powerful affiliate tracking software for the last 16 years. 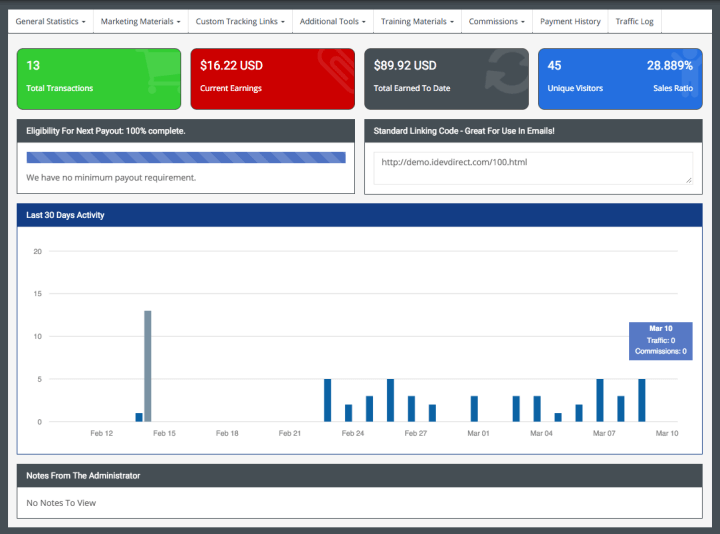 Their features include a host of powerful marketing tools and options, a host of commissioning options, and the ability to structure payments for your affiliates, and a host of reporting tools and metrics. You can also customize all kinds of templates, including sales and email templates. iDevAffiliate also has built-in fraud protection tools. You can demo the admin center and affiliate control panel to see whether this software is something that would suit your business needs or not. See images below. With iDevAffiliate you have the option to take out a monthly cloud subscription, which would set you back $39 per month, so not cheap again. Plus, with this plan, IDevAffiliate hosts your affiliate program for you. There’s also the option of paying a one-time fee over three different plans. A standard, platinum and black edition. All of the available plans include a host of awesome features. The Platinum and Black Edition plans to include bundled plugins, unlimited affiliates and commissions, and zero transaction fees. If you want to learn more about iDevAffiliate and check out their full list of features, click the red button below. 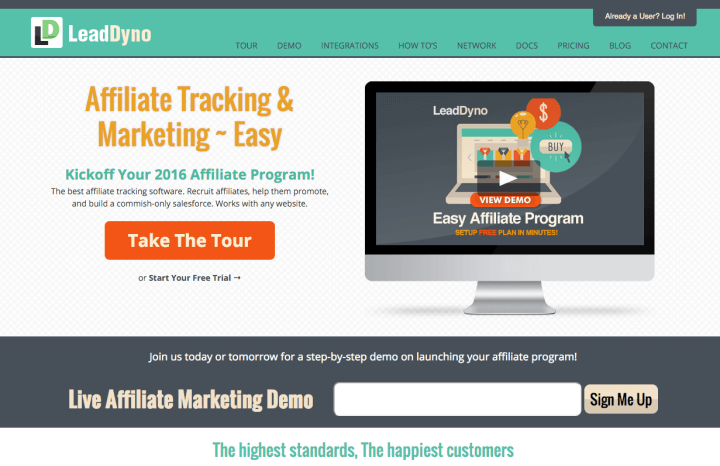 OK, so next up on my list is the Lead Dyno affiliate tracking and marketing software. Lead Dyno is one of the simplest software to use, with lots of useful features built right in. One of the coolest features with the Lead Dyno software is that it works with any website, so you don’t have to be on WordPress alone to use it. When you signup you get your own affiliate website where you can link your existing website or blog, and drive new affiliates to signup. Your website is fully customizable too, so you can tweak it to match your existing website and online brand identity etc. Lead Dyno integrates with all the major eCommerce platforms including PayPal, Etsy, WordPress, WooCommerce, Shopify, SquareSpace, and much more. If you’re interested in checking out Lead Dyno, there’s a demo available for you to try out, plus a 14-day free trial. Price wise, the plans aren’t the cheapest around by far. A Starter Plan will set you back $49 per month. A Biz Builder Plan will set you back $59 per month. And there’s also an Accelerator Plan which will set you back $79 per month. There’s also flat monthly fees and 7-day support! Click the red button below to learn more. 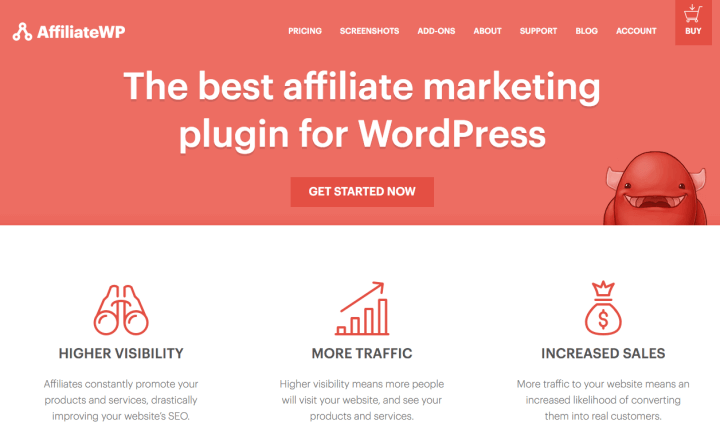 OK, so the last option that I have on my list for you is a WordPress plugin called Affiliate WP. I’ve personally never used Affiliate WP for myself, I have helped clients get set up with Affiliate WP, however. Affiliate WP is considered to be one of the most popular affiliate plugins for WordPress. 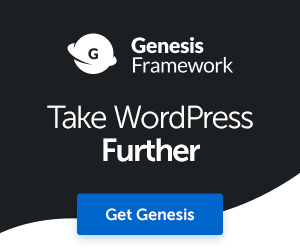 Being a plugin, everything is manageable inside your WP dashboard, from your affiliate’s performance, referrals and payments, to real-time reporting. Affiliate WP offers complete integration with 27 eCommerce systems, including WooCommerce, Contact Form 7 and Zippy Courses. Affiliate WP is probably the most affordable solution out of all of these options. Ultimate, Professional, Plus and Personal plan. A Professional Plan for example, even at $199 per year only works out at $16.60 per month. This plan provides you with email support, unlimited sites, 10 pro add-ons and 14-official free add-ons. Everything you need to get started with affiliate management. 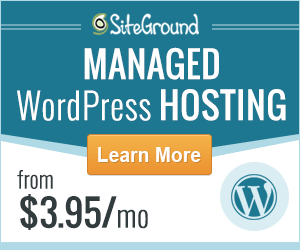 Being a plugin, each licensed plan lasts for 12 months. You’ll have to renew your plan each year if you want to keep up with the latest plugin updates and support. However, you’ll be pleased to know that you get a 40% discount when you renew your plan each year. Well there you have it, 5 of the best affiliate tracking management software and plugins for you to scratch your head over, and hopefully, choose one for your business. Whatever the case, if you’re thinking about creating an affiliate program, you can’t and won’t do this successfully without one of these tools. That much can be said. Right, I’ll leave you to decide which will be best for you. 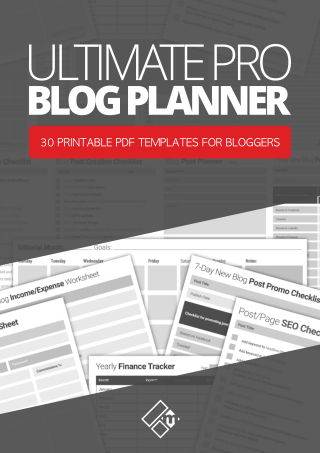 And don’t forget if you’re interested in using the OmniStar affiliate platform, as an awesome reader of Magnet4Blogging you get 20% off all monthly plan! Something worth thinking about. Disclaimer: Please note that this post may contain affiliate links to the services mentioned above. That means if you click on one of these affiliate links, and make a purchase of one of these services, I will be paid a small commission, at no additional cost to you. Thank you for your continued support. Read my full disclaimer here. Interesting that that you posted this now because I actually just started my own affiliate program for my courses. I’m using Affiliate Royale right now – it’s not the prettiest but it offers all of the features I was looking for. The tracking and payment seems to be what matters most and it’s flawless in that regard. I just went and looked through their website after looking at all the others here and wow – they’re really doing themselves a disservice. Since I’ve actually ended up using though, I’ve got to say, it’s a lot better than it sounds. Lots of features, easy to use, great for affiliates and myself as well. Will I move away from it in the future? It’s hard to say. I would have to be sure all old affiliate links redirect flawlessly as to not screw anyone over. Both Omnistar and iDevAffiliate look like programs I’d consider if I weren’t already happy with my current setup. Thanks for posting this Fabrizio, this is certainly a very important decision to make! Hey James, wow yeah that is interesting. I’ve not come across Affiliate Royale, I’d better check that one out and maybe add it to the list. Ease of use is definitely important, I hear you on that one. I’ve tested a few before writing this post, and some of them can be quite confusing to get around. If you ever decide to choose another platform in the future, at least you’ll be aware of a few of these to consider. Thanks for stopping by mate.